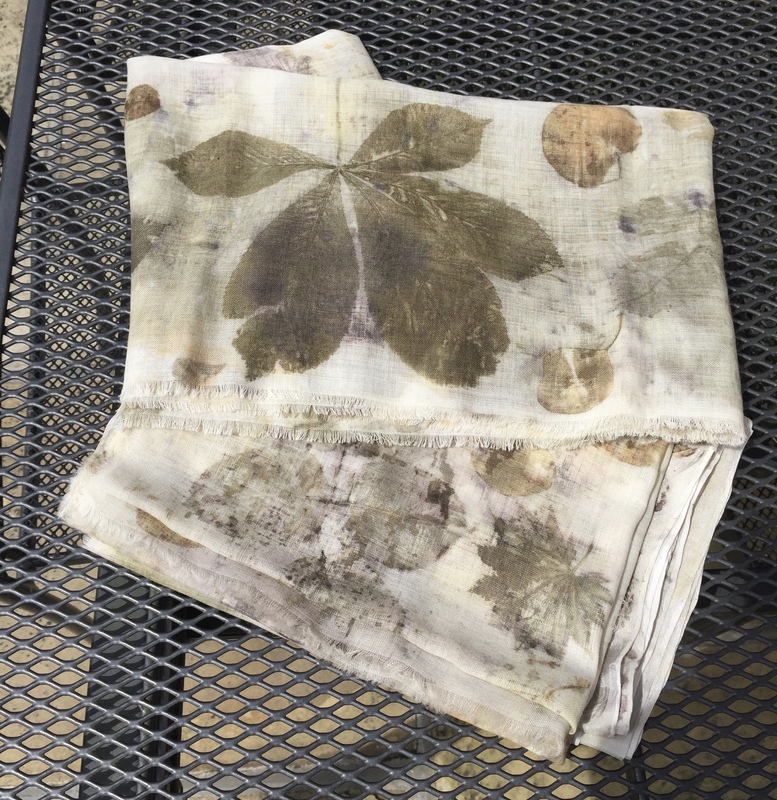 Eco print dyeing is a fascinating way of printing onto fabric. Using flowers and leaves from gardens and countryside, this is a direct contact printing method that allows the flora and foliage to give up their colours and patterns. It is amazing the effects and results that the most mundane of plants can give. This is not vegetable dyeing but an art of the surprising and delighting effects that can be achieved just by wrapping plants in cloth and steaming the bundle. The fabric that is used is either a fine Haboti silk or a very fine merino weave. The colours are fast and a gentle hand wash is all that is needed to keep the scarf looking beautiful. Each scarf is unique in its colour and pattern.